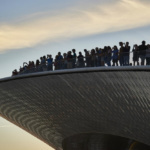 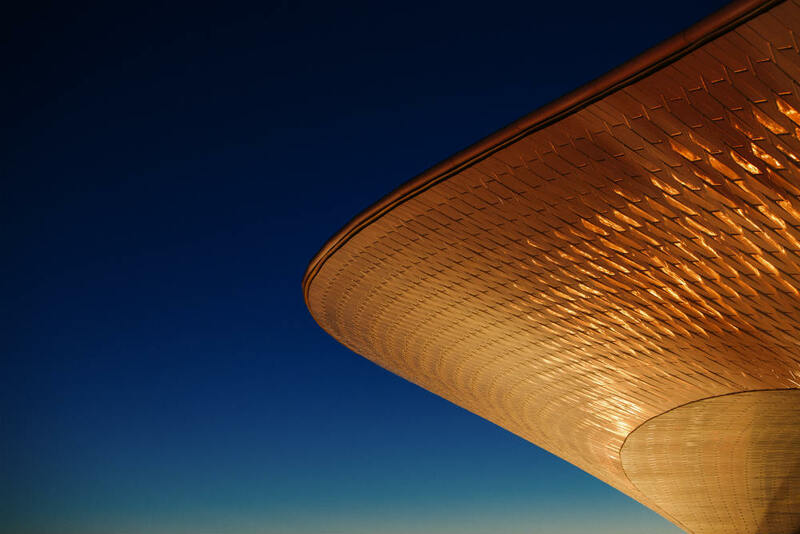 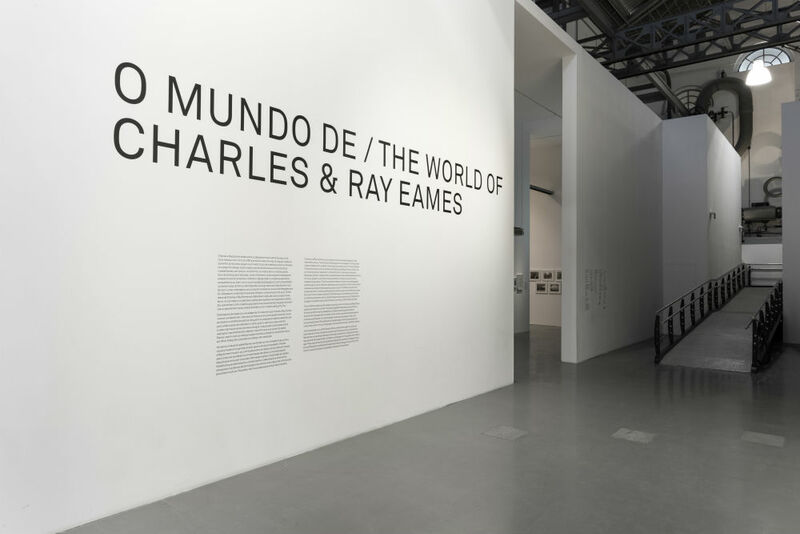 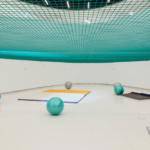 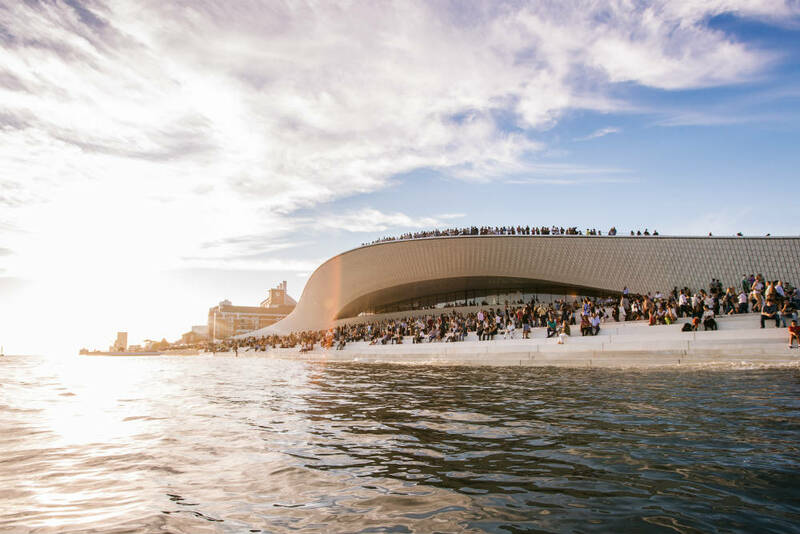 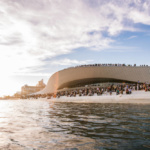 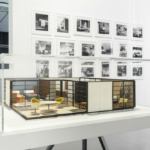 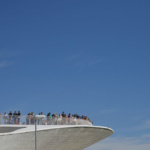 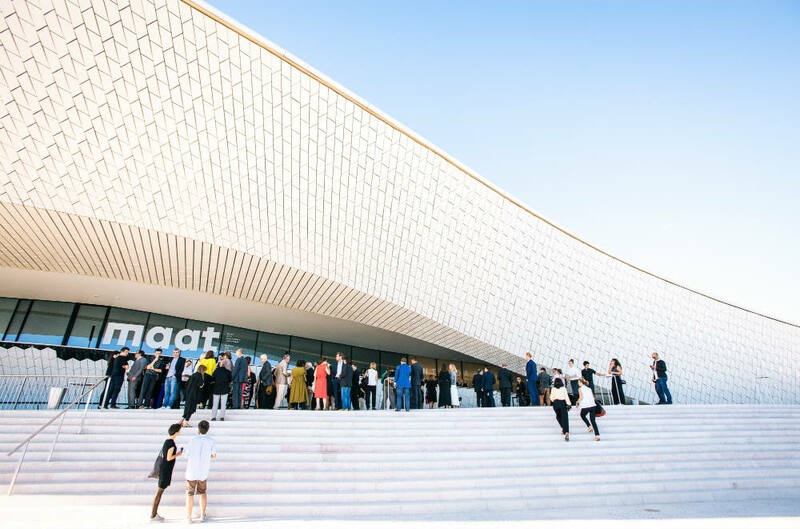 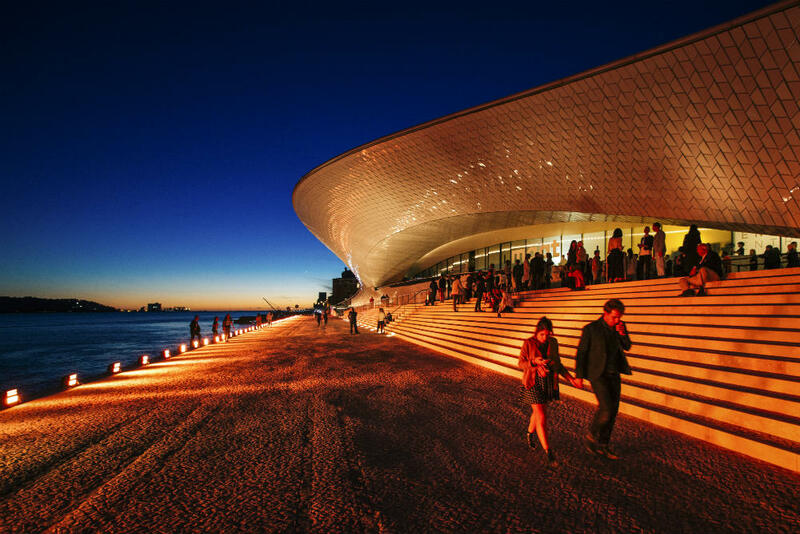 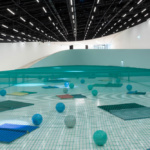 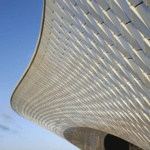 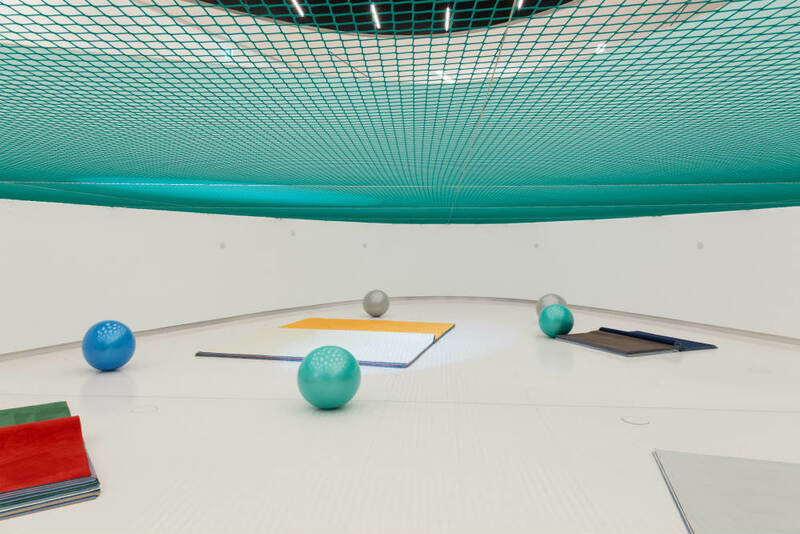 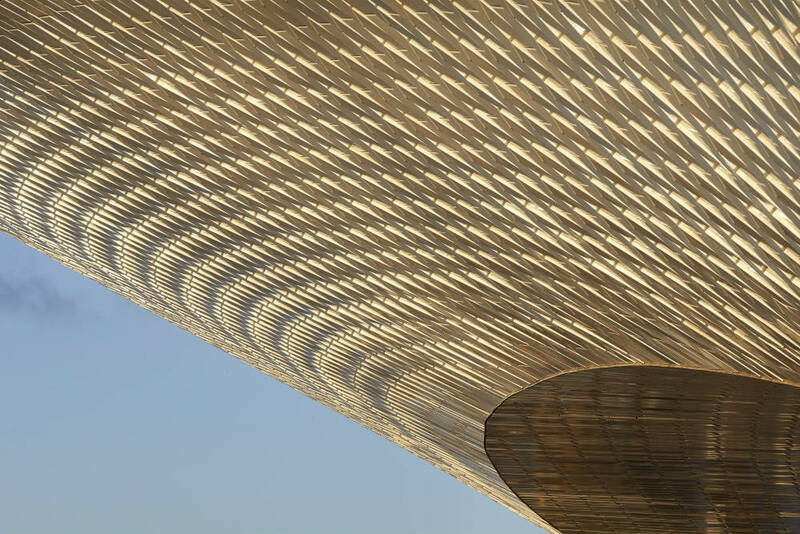 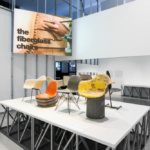 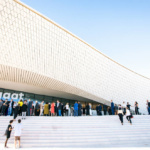 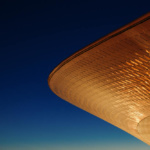 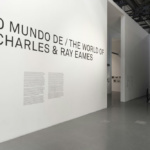 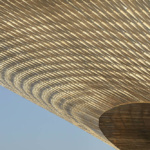 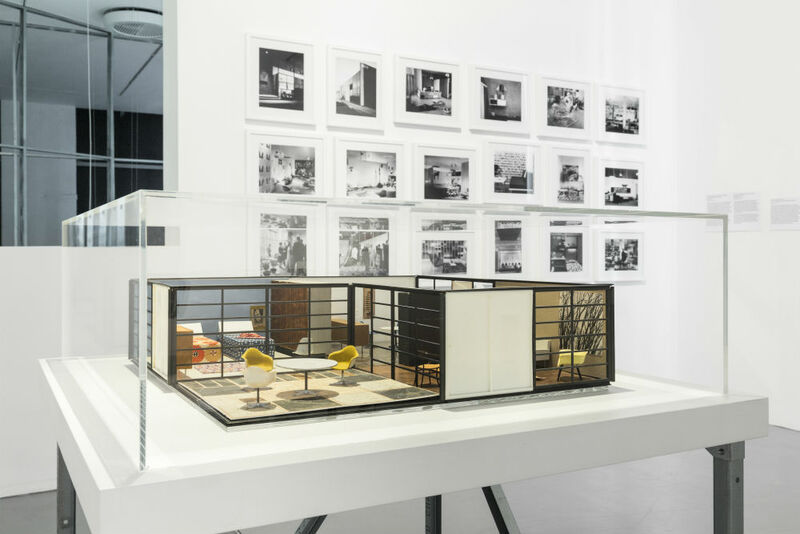 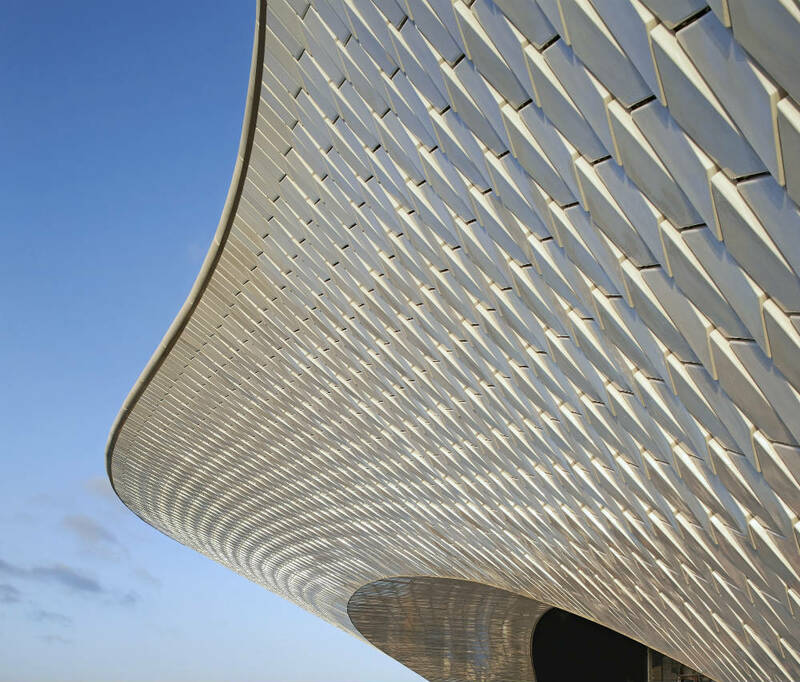 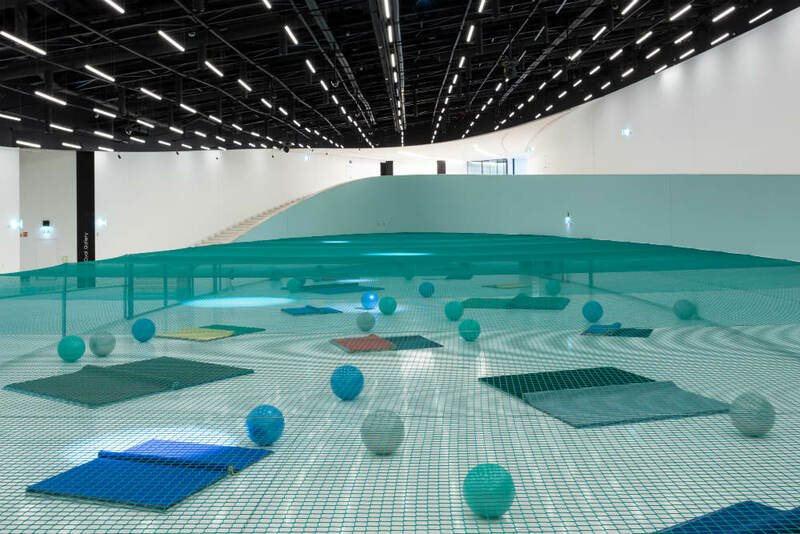 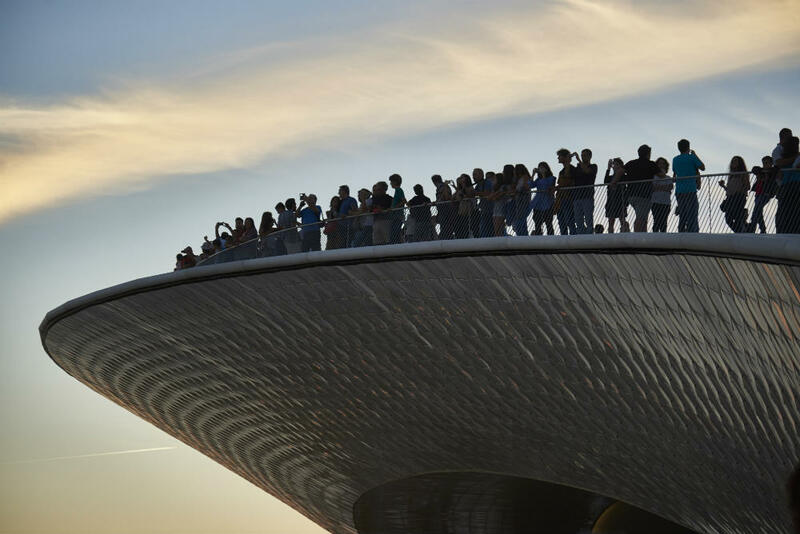 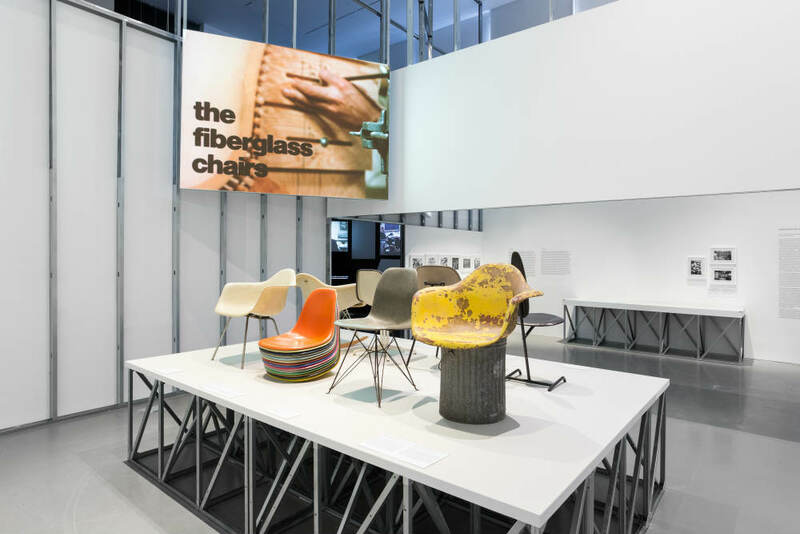 The Museum of Art, Architecture and Technology (MAAT), designed by London firm AL_A, was opened this month in Lisbon, Portugal by the Fundação Energias de Portugal (EDP) to coincide with the Lisbon Architecture Triennale. 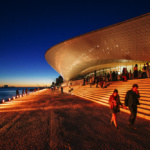 The building is located within the Portuguese capital’s Belém area and next to the Tagus River. 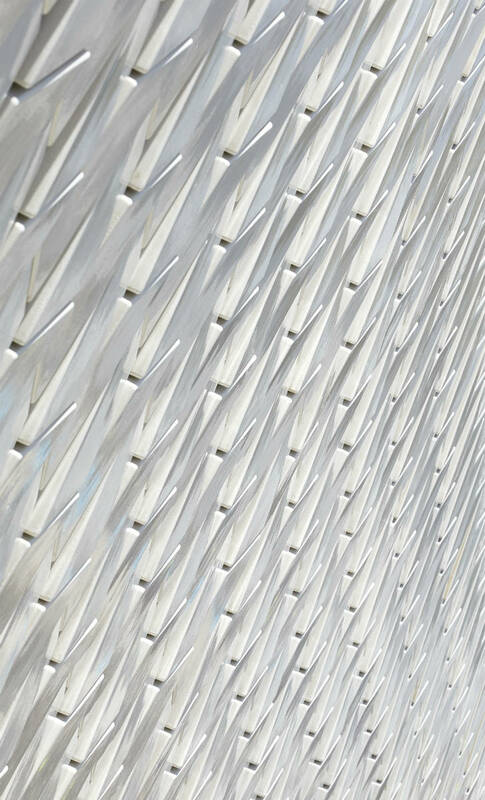 Spearheaded by Stirling Prize-winning architect Amanda Levete, AL_A’s design sees 15,000 three-dimensional, crackle-glazed, white ceramic tiles span an undulating roofscape, forming a reflective, rippling facade on the riverbank. 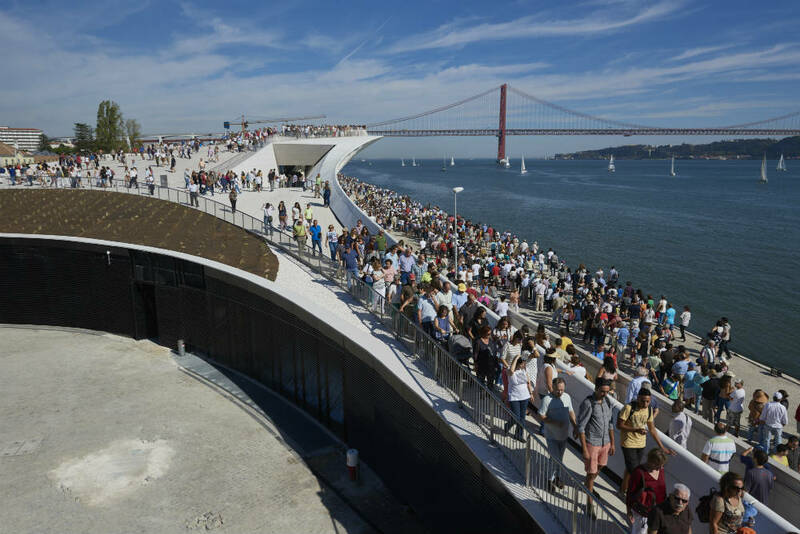 While the rooftop terrace references the adjacent river through its flowing form, visitors can enjoy views of the 2,000-year-old São Jorge Castle courtesy from atop the cantilevered structure. 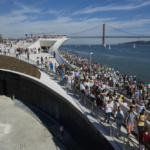 Despite the museum’s opening, the project not yet wholly complete. 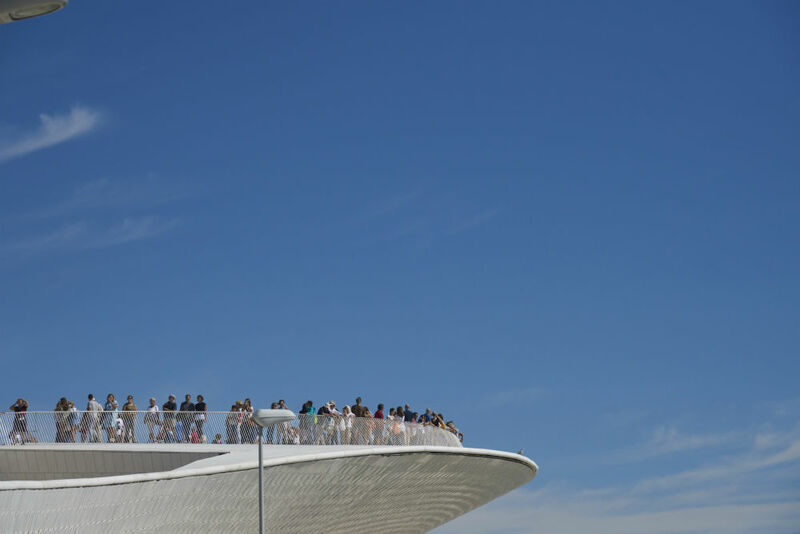 A pedestrian bridge coupling the museum (via its roof) to another gallery and restaurant nearby has yet to be finished. 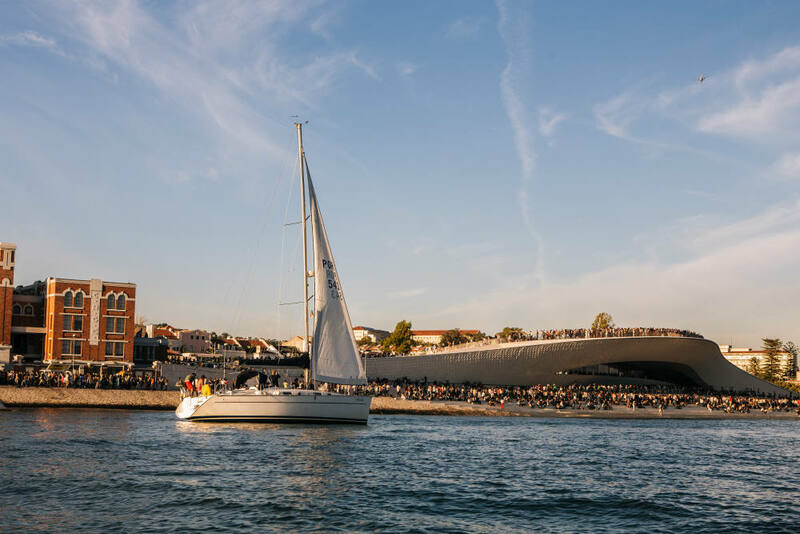 In addition to this, further public space will be added with a park area designed by Lebanese studio Vladimir Djurovic Landscape Architecture. 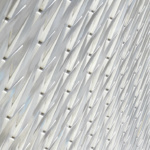 This is all part of the project’s second phase, scheduled to start in March next year.